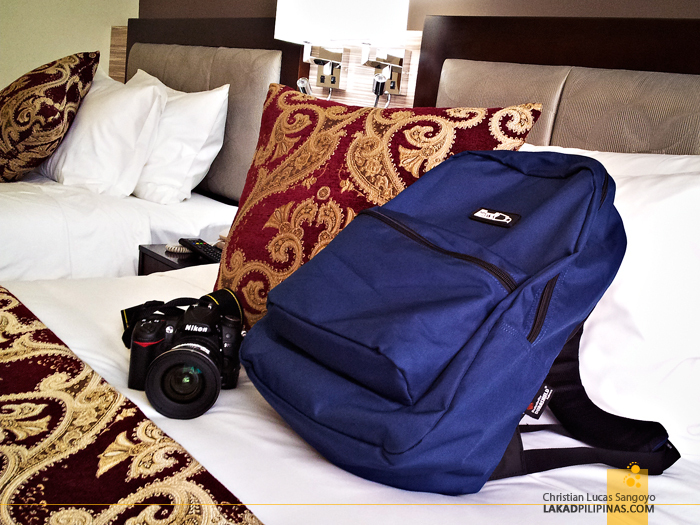 Weekends at home can be especially boring for on-the-go peeps like us. So with no scheduled trips, we decided to check out an area that don’t need hours of bus rides to get to; the strip along Quezon Avenue. A lazy night out for travel bloggers with no travel plans. 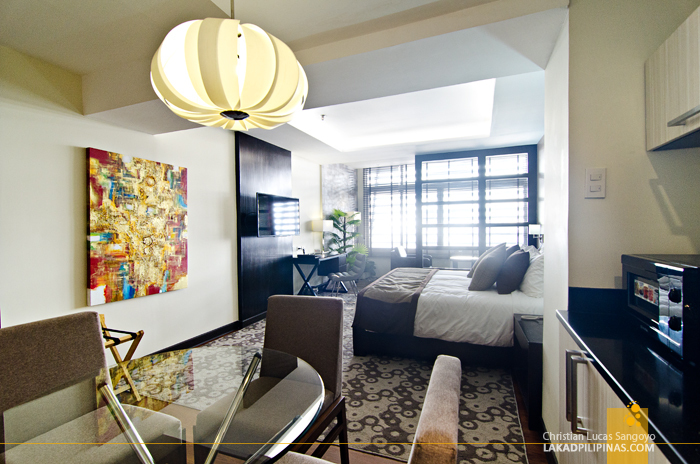 To complete the experience, we thought of having our base camp at Brentwood Suites, a newly opened hotel which sits conveniently along our chosen avenue. BACON CHEESE BURGER AT THE NEARBY MCDONALD’S FOR LUNCH. YUM! Like any other trip, the first itinerary of the day was food. 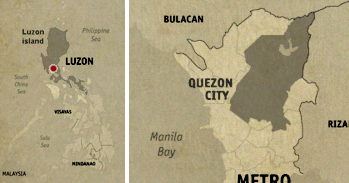 And since we were in the metro, the chosen food joint was McDo, well you can’t get as staycationy as McDonald’s. Bacon cheese burger plus fries, superb! And yeah, our hotel’s just right beside it too! 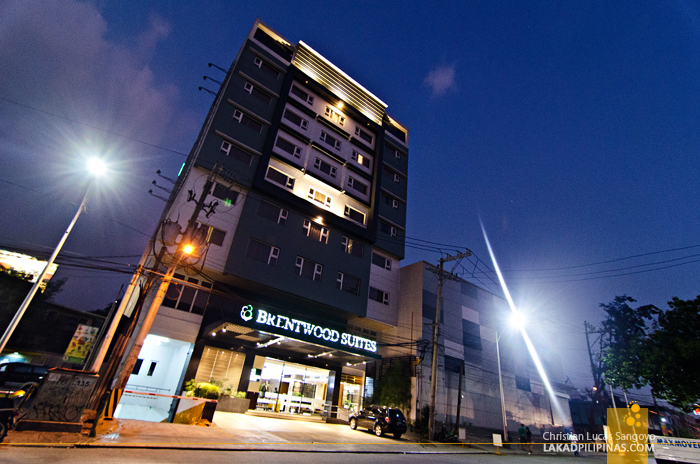 After filling ourselves silly with junk food, we proceeded to check in at Brentwood Suites. We weren’t really expecting anything, assuming it to be your basic city hotel. 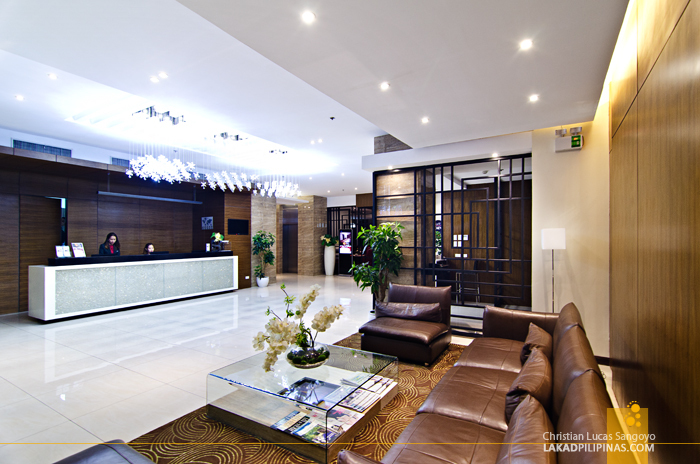 We were in for a surprise, we’re blown away as we entered its posh lobby. Within a few minutes, we were opening the door to our weekend abode, since we were six in the group, we chose three Superior Rooms at the sixth floor of the hotel. 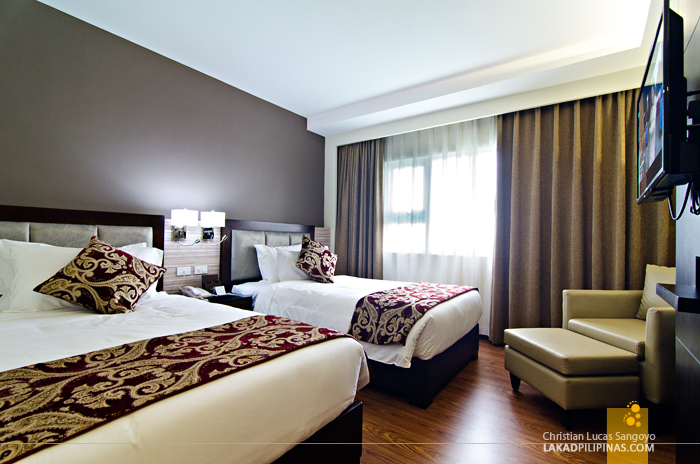 The room has two soft queen-sized beds, a comfy sofa with an ottoman, a workstation and flat-screen cable television. It was a bit more compact than most rooms we were used to, but it’s tasteful decoration and nice city view really more than made up for it. We’re really getting to like it more and more by the minute. Coffee and tea-making appurtenances are also provided for, free of charge. There’s also a mini-ref filled with beer and sodas which are unfortunately, not free of charge. 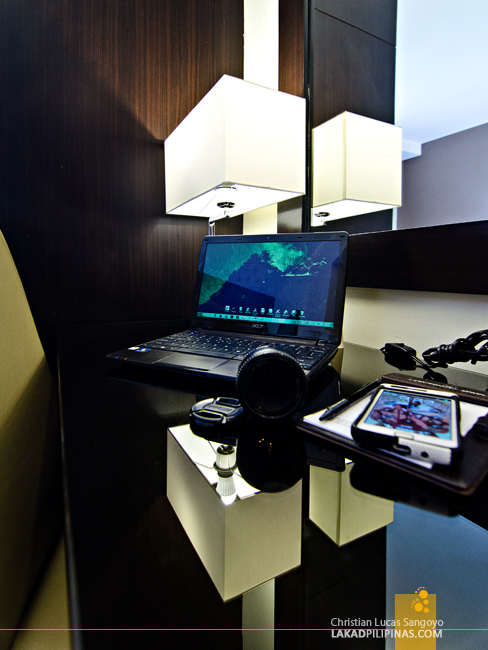 Internet Wi-Fi is complimentary and is quite strong all throughout the hotel. YES, THEY HAVE A BIDET! 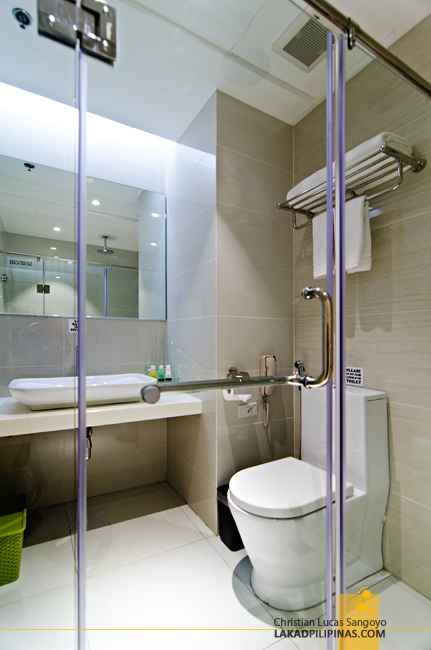 The en suite toilet and bath has modern fittings and provides toiletries (which are beautifully lined up on a really nice placeholder) and fluffy linens. It has a rain-type showerhead, complete with hot water. And yes, they do have a bidet (three cheers for that!). 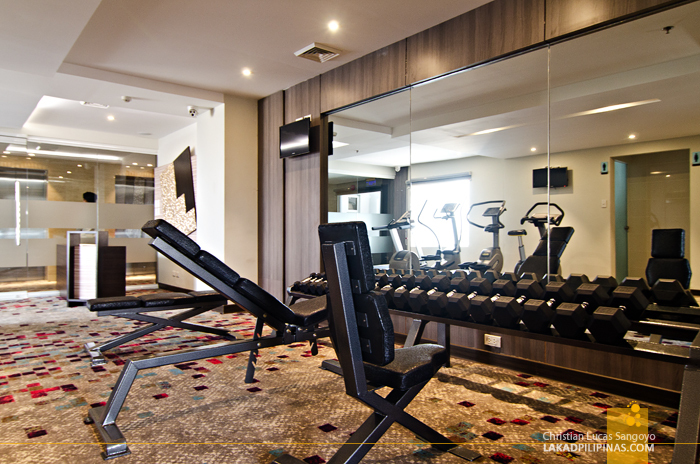 Brentwood Suites has its own gym, which normally, we really don’t care much for. This time though, we decided to give it a try just for the heck of it. We boarded their very high-tech Stairmasters, stationary bikes and treadmills and surprisingly, we all found it to be seriously fun! Everyone keeps on checking how many calories they were losing by the minute, lol. We also got to check out two of their high-end rooms. We were really impressed, making us wish that we book one of these rooms instead of staying at three different Superior Rooms. With its rate (check here), I think we would’ve paid less, although some of us would have to sleep on the sofa, I guess, haha. After resting the afternoon away watching Kim Chu get her heart broken by Gerald Anderson, our tummies decided that it was time to head out and find dinner. The area has a plethora of restaurants and cheap eats to choose from. We walked along Panay Avenue where we passed a host of expensive-looking bistros. What we really wanted though was to try the crispy dinuguan at Jay-Jay’s, so even if it was quite a ways away, Jay-Jay’s it was. A plate of crispy dinuguan (which didn’t disappoint) and longsilog later and we were heading to Dampa sa Timog to booze the night away. 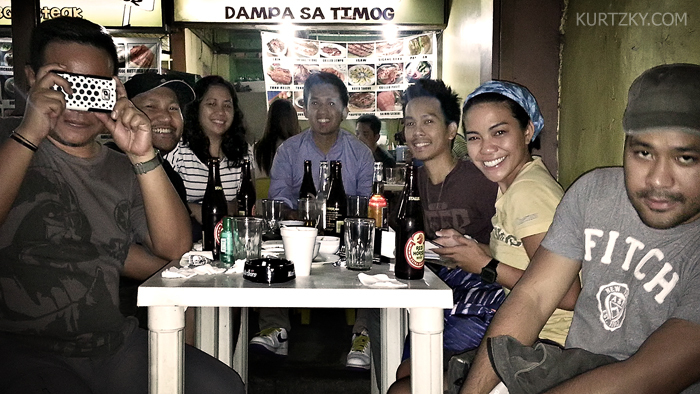 We asked if they serve beer buckets, and they do; fifteen bottles with four free plates of pulutan for a thousand pesos. Whoa. It was almost three in the morning when we ran out of bottles of beer, travel stories and crazy unmentionable things. 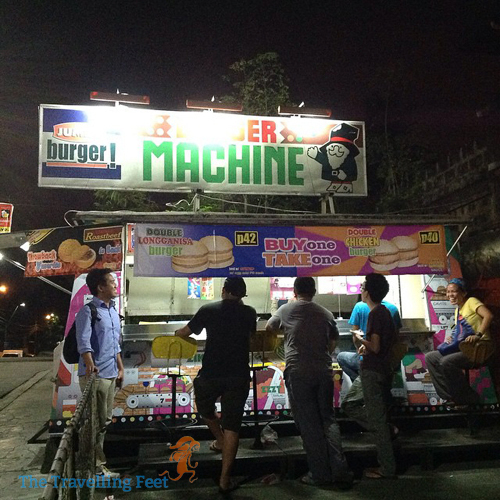 Stuffing ourselves into a single taxi, we spilled out in front of Brentwood Suite and found a Burger Machine stand across the street. 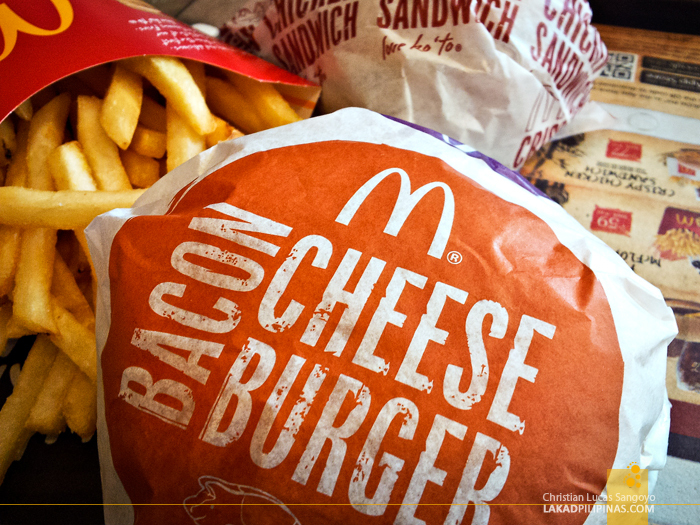 We just couldn’t resist the temptation of buy one take one burgers. Ate, double longganisa burjer po! The next morning found us all groggy and hungry. We delayed waking up and slept as long as we could but we just have to drag ourselves off our rooms’ super comfy beds before the clock strikes ten; breakfast was waiting for us at Café Elements. 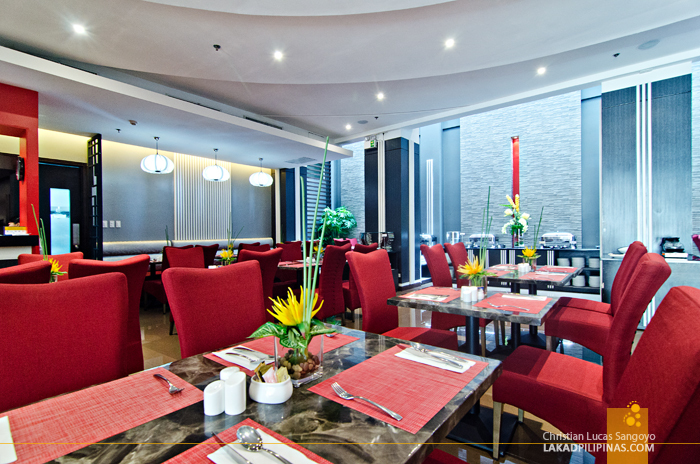 Café Elements is Brentwood Suite’s in house restaurant; they serve Filipino, Asian and Western dishes. We didn’t get to try out their regular lunch and dinner offerings but we did get to have their breakfast buffet which is complimentary to all hotel guests. The buffet table is filled with all the usual Filipino fares like longanisa, tapa, danggit, fried and salted eggs and of course, sinangag. 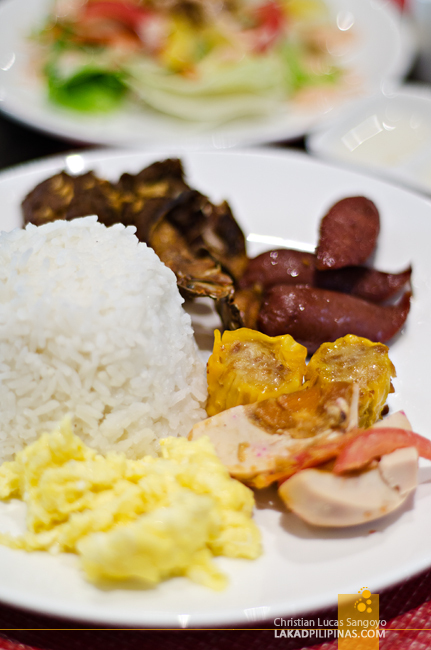 There were breads, salads and fruits, but I snubbed them all, all I want is a plate of longdangsiotapsilog. A perfect meal to end our city staycation.